Jan 2019: Australian Research Council. Discovery Projects (DP190101576), "Low-Energy Electro-Photonics: Novel Devices, Materials and Systems" $440k (Lead CI working with RMIT and UCSB). I am currently seeking postdocs and graduate students in: electronic chip design (analog and digital), photonic chip design, signal processing for optical signals, computer simulation of electro-photonic systems. Scholarships are available to suitable candidates. 2017: Australian Research Council. Linkage Infrastructure, Equipment and Facilities (LE170100160), "Distributed Ultrafast Clocks for Tbit/s Communications." 2014: Australian Research Council. Linkage Infrastructure, Equipment and Facilities (LE140100062), "Universal Optical Transmitter for Rapid Prototyping and System Emulation." 2011: Australian Research Council. Linkage Infrastructure, Equipment and Facilities (LIEF), "110 Gbit to 1 Terabit per second optical communications test bed facility." January 2009, Elected as a Fellow of the IEEE (Institute of Electrical and Electronic Engineers, USA) for "leadership in computer modelling of optical communication systems"
Note: the Optics Express papers can be downloaded for free from their site: Optics Express , though I have provided direct links to the abstract pages. My pre-2008 publications list can be found here (with downloads). Please find the links to the Open Access journals via Google Scholar. L. B. Du, J. Schröder and A. J. Lowery, "Blind subcarrier equalization without pre-filtering for optical OFDM systems", Optical Fiber Communications (OFC 2012), 2012, Los Angeles, CA. Liang B. Du and Arthur J. Lowery, "Practical XPM Compensation Method for Coherent Optical OFDM systems" Photonics Technology Letters vol. 22(5), pp.320-322, Dec. 2009. L. B. Du and A. J. Lowery,"Improving nonlinear precompensation in direct-detection optical OFDM communications systems," Presented at the European Conference on Optical Communications (ECOC), Brussels, Sept. 2008, paper Paper 4.08. A. J. Lowery, " Fiber nonlinearity mitigation in optical links that use OFDM for dispersion compensation," Photonics Technology Letters, IEEE, vol. 19, pp. 1556-1558, 2007. A. J. Lowery "Electronic Dispersion Compensation and Optical OFDM", Keynote Speech,opening of Malaysia Photonics 2008, Kuala Lumpar, Malaysia, August 2008. Arthur J. Lowery, " New dynamic model for multimode chirp in DFB semiconductor lasers," IEE Proceedings-J. Optoelectronics, vol. 137, 5, pp. 293-300, 1990. J.P.R. Lacey, M.V. Chan, R.S. Tucker, A.J. Lowery, M.A. Summerfield " All-optical WDM to TDM transmultiplexer," Electronics Letters, vol. 30, 19, pp. 1612-13, 1994. My goal is to make things that are useful - that is make life easier or more efficient when using resources. Fortunately, the discipline of Electrical/Electronic Engineering gives me many tools to persue my dreams, and these tools are improving all of the time. This enables me to test ideas almost immediately using a laptop computer, for example. The ideas themselves come from putting together aspects of many fields in novel ways. Thus, it has helped that I have been building circuits since age 4, and that I have worked with collegues in industry and academia that have similar interests. I've also used electronics more socially - building electric guitars, effects boxes, designing stage lighting and presently designing and restoring high-end audio equipment. I call this electronic archeology, as it's great to get inside the mind of the original designer(s) and try to provide a product with a minimal number of parts and exceptional performance. Another great feature is electronics is its modularity. That is, you can learn some basic building blocks and create new ideas by combining them in different ways. It's these novel combinations that provide unexpected excitement - you cannot predict how they are going to interact before 'building' the system. By building, the behaviour of the whole system can now be predicted on a computer. Twenty years ago simulation of complex systems meant coding in text: that's what inspired me to create Photonic Design Automation, where icons representing different photonic components could be interconnected (with a mouse) to allow a complex system to be simulated (which became http://www.vpiphotonics.com ). This also ties into my interest in music (hear the audio files below), my early research in representing semiconductor lasers as transmission lines (like guitar strings) and drew from being able to interconnecting guitar effects ('stomp boxes') in many different orders, with suprising results. The products I developed at VPI allowed me to simulate optical OFDM ideas quickly, before building them in the laboratory. Finally, electronics ideas are easy to get to market, relatively. That's because the common design platform is the computer - manufacturers take your design files and make them for you in a seamless process. As for software, you need electrical engineering techniques, such as signal processing, to make your Apps interesting - pattern recognition, for example. The early Virtual Photonics (eventually VPIphotonics) grew from two of us programming on the kitchen table (and copying disks on the ironing board) into a global business supplying thousands of design engineers. However, we needed to understand communications theory and laser physics in order to have a compelling product. Arthur Lowery is an engineer, innovator and educator with a proven success record transforming ground breaking technical innovations into successful international businesses. His core competencies in management of research and development, communications technology, intellectual property management, export marketing, and innovative teaching. He has a proven track record launching Australian businesses in US and Europe, and has extensive contacts in the global scientific and technical business communities. Arthur built the global Photonic Design Automation (PDA) industry from his fundamental research in semiconductor laser modeling. 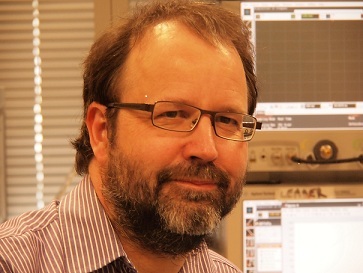 In 1996 he founded Virtual Photonics Pty Ltd (later Inc) with Phil Gurney, to commercialise OPALS, a software tool for designing optical communications devices and circuits. In 1997 GOLD was launched to an enthusiastic and rapidly-growing market. GOLD (Gigabit Optical Link Designer) was developed in a joint project with Telstra and the University of Melbourne. Phil and Arthur merged Virtual Photonics Inc with BNeD Inc, a competitor out of the Heinrich Hertz Institute (Berlin) that had obtained government funding and VC money, to form VPI Virtual Photonics Inc in late 1998 (known in the industry as VPI). VPI has grown by technology acquisition and internal development to be the leading supplier of design tools for communication components, systems and networks (see www.vpiphotonics.com ). VPI boasts 150 corporations as customers and VPI’s software tools are used by over 130 universities for research and teaching. Over 1000 scientific papers cite VPI as their simulation tool. Free software tools are available for teaching at http://www.vpiphotonics.com/Tools/VPIplayer.php. Arthur was appointed Chair of Electrical and Computer Systems Engineering, at Monash University (15 km SE of Melbourne City) in September 2004 ( www.ecse.monash.edu.au). He led the department through substantial changes that have seen a resurgence in its research reputation. In 2008, Arthur founded Ofidium Pty Ltd, which secured A$6M of funding in March 2009. Ofidium holds a portfolio of granted patents in optical OFDM and nonlinearity compensation for optical communications systems. Bionic Vision. Arthur leads the Monash Vision Group - Bionic Eye , which is developing a bionic eye based on a cortical implant. This is a partnership of Monash University, MiniFAB, Grey Innovation and The Alfred Hospital. This work also supports the Centre for Integrative Brain Function. Photonic Circuits and Systems. Creating novel topologies of photonic components for ultra-high-speed optical systems. This work is funded by the ARC under its Centres of Excellence, LIEF, Discovery Projects and Laureate Felloship programmes. Research Management. Identifying innovations to create value. Selecting and leading the Monash Vision Group team to develop a brain-machine interface for vision restoration. CTO of Ofidium. Enhancing research speed and efficiency using technology. Directing of the Electro-Photonics Laboratory.Science Leader in CUDOS. Just for fun: hear what lasers and optical systems sound like! I have transposed the outputs of computer simulations into audio files. These reveal the fascinating spectral dynamics of lasers and systems. The simulations were 'performed' using VPIphotonics' VPItransmissionMaker and VPIcomponentMaker (now Photonic Circuits) products. VPIcomponentMaker is based on my PhD work on time-domain modeling of semiconductor lasers (the Transmission Line Laser Model, TLLM), which is widely used for active photonic circuit design and is often called the "time-domain model" of lasers.